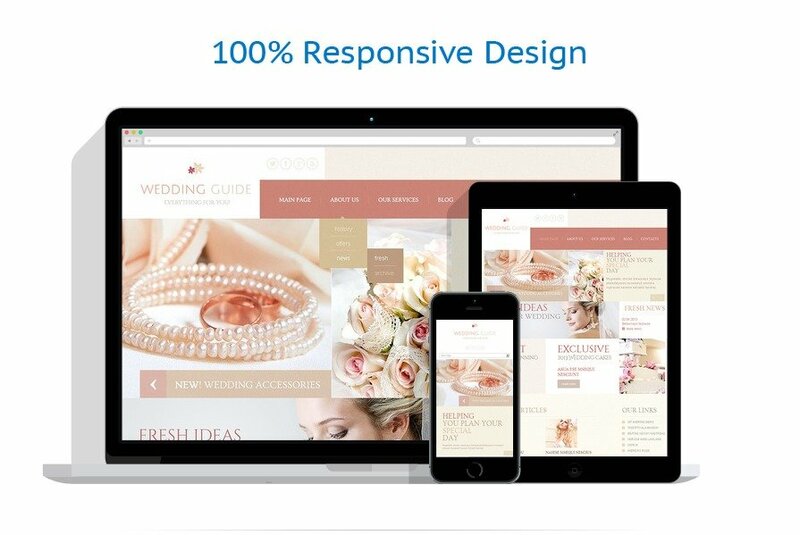 Wedding sites suppose elegant and subtle design in light colors. 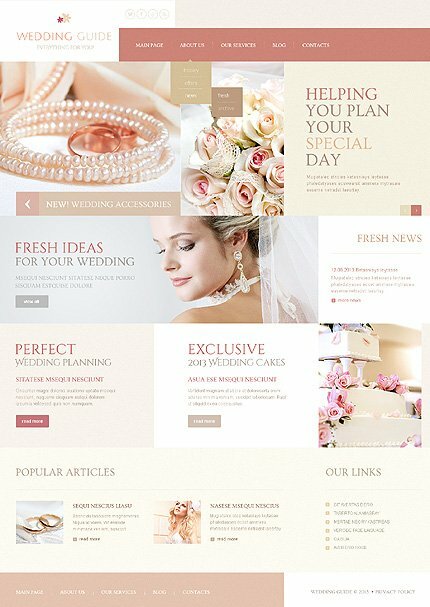 If you need such one for the future page, check out this delicate theme with mosaics layout where multiple blocks of information are united into one content segment. Nice showcase on the front page invites the visitors to see the wonderful photos. Blog page offers them to learn the site news. The theme shows a poetic tone that is a kind of melody for all people in love who plan their wedding. 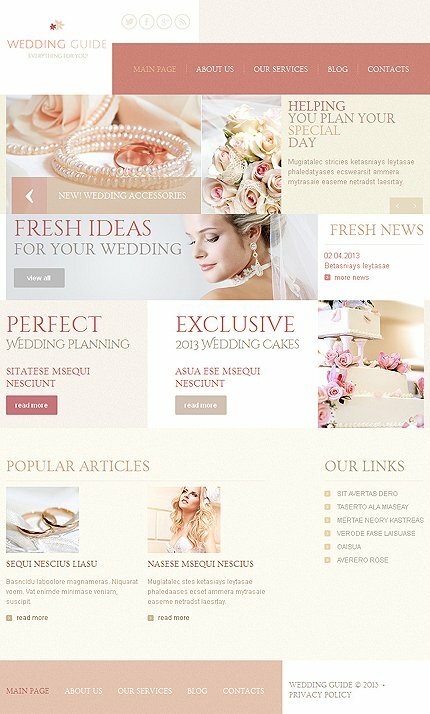 This wonderful template can be used for wedding planner, wedding planning, wedding ideas websites.